Three attacks by pro-Russian militants have been registered since midnight. 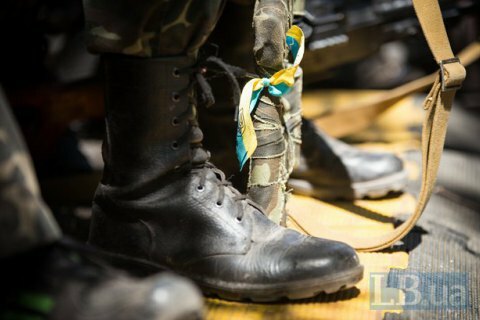 One Ukrainian serviceman was killed and two wounded in Donbas on 11 March, the antiterrorist operation HQ has said in its evening update on Facebook. "As a result of enemy attacks in Novozvanivka [in the Luhansk sector], one serviceman was wounded. It was quiet in the Donetsk sector during the day. Nevertheless, one Ukrainian serviceman was killed when he was carrying out a combat assignment on delivery. One serviceman received shrapnel wounds as he was checking a minefield," it said. Both wounded servicemen were taken to hospital. Three attacks by pro-Russian militants have been registered since the midnight: near Novozvanivka, Troyitske and Luhanske. They used grenade launchers and heavy machine guns. On 10 March, one Ukrainian serviceman was wounded as a result of five attacks by pro-Russian militants.